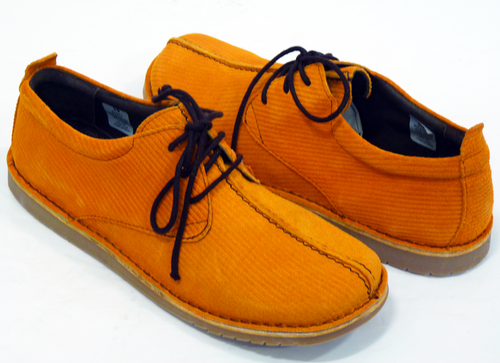 DELICIOUS JUNCTION 'DUSTY' WOMENS RETRO SIXTIES MOD CORDED SUEDE SHOES (Burnt Orange). 'Dusty' by DELICIOUS JUNCTION - stylish Retro chic Womens centre seam shoes in a delightfully striking Sixties Mod corded suede. Retro contrast stitch finish and Vintage Mod stitch down upper. The stand out laces and sports style outsole add a contemporary Indie feel. 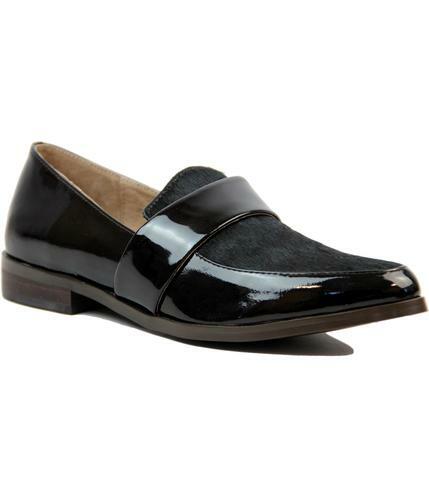 A hint of Seventies glam nostalgia thrown in for good measure - 'Dusty' Womens Corded Suede Shoes by DELICIOUS JUNCTION. A stunning burnt orange Retro corded suede is cleverly accentuated by the sublime Sixties Mod centre seam detail and an awesome contrast brown stitch finish. Lightweight construction with an Indie sports outsole and Mod stitch down upper. Brown laces, 3 eyelet fasten, chocolate brown interior. Tab to back of heel and Retro rounded toe. Visually striking Mod shoes by DELICIOUS JUNCTION, 'Dusty' are just the ticket for adding a Vintage Seventies colour pop to any Retro Clothing ensemble. DELICIOUS JUNCTION 'DUSTY" WOMENS RETRO SIXTIES CORDED SUEDE MOD CENTRE SEAM SHOES. 'DUSTY' RETRO SIXTIES CORDED SUEDE CENTRE SEAM MOD SHOES by DELICIOUS JUNCTION - Burnt orange Retro corded suede Womens shoes by Delicious Junction. 'Dusty' feature a Mod centre seam detail with contrast Retro stitch throughout in brown. Indie sports, lightweight outsole, chocolate brown insole and lace detail. Loop to back of heel and Mod stitch down upper. An exquisite Retro rounded toe and 3 eyelets. Vintage distressed edging to laces. Brand: DELICIOUS JUNCTION Womens Footwear. 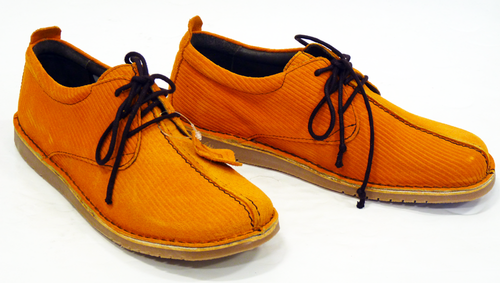 Composition: Corded Suede (Leather) upper, Leather lining and sock, Other material outsole. 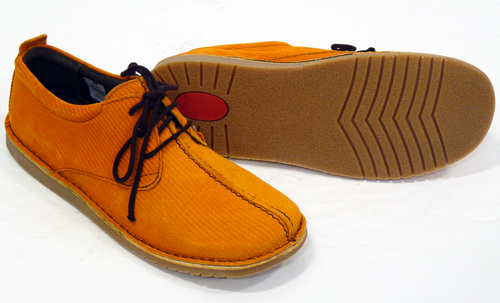 SKU: 'Dusty' DELICIOUS JUNCTION Corded Suede Shoes. 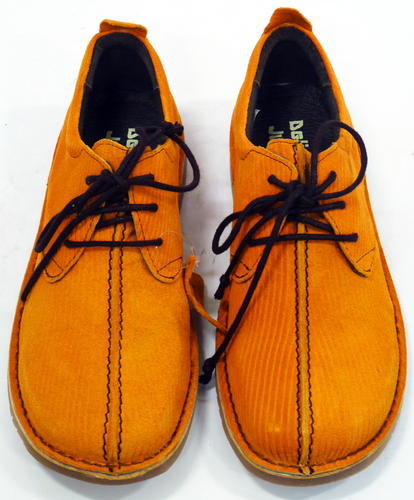 DELICIOUS JUNCTION 'Dusty' Retro Sixties Mod Corded Suede Centre Seam Shoes.